I’m a proponent of paying it forward. If you’re unfamiliar with this concept, it’s that you do good deeds for others, especially those who can’t pay you back. Instead of them paying you back, you ask them to do something good for someone else when they have the ability. I’ve been the recipient of many of these deeds growing up. I had never heard of the concept of paying it forward until one couple who blessed me tremendously told me I could pay them back by doing something for someone else one day. I’ve never forgotten what they did, and have tried to be generous to others as a result. What they did was plant a seed of generosity into my life, and over time that seed has become a tree. When you think of an orange seed, it doesn’t just produce an orange. 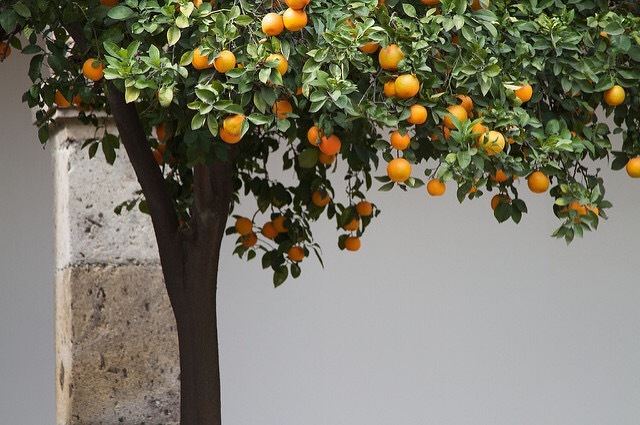 It produces a tree capable of producing many seasons of oranges that are capable themselves of many trees. Seeds are not a one for one thing. They’re a one for many thing. They take root, grow and continuously produce. Proverbs 11:30 says, “The seeds of good deeds become a tree of life” (NLT). The writer knew about paying it forward all those centuries ago. He understood that when you bless those who can’t pay you back, you plant seeds that grow into trees and they become a tree of life. Most all of us need help at some point in our lives when we are incapable of paying it back. Don’t turn away the seeds that someone else wants to plant into your life. One day, that tree they planted will be needed to produce for someone else. When I look at my social media feeds, I’m always intrigued by what goes viral. I think it gives a glimpse into who people are and what’s important to them. My favorite viral posts are those of someone doing good for someone else. Inevitably in the comment section (yes I read those too), someone will write something to the effect, “Why are we so intrigued by this? They did what we are supposed to do. This shouldn’t be viral. This should be common.” They have a point. Doing good for someone else without knowing you’re being seen or hoping to go viral is what we should be doing. As Christians, we have a particular responsibility to help others in need. Throughout the Bible, God tells us to care for the poor, the weak and the defenseless. He asks us to show His love to those whom society deems the least worth it. Yet, in our day and age, someone who does something God commanded, goes viral because it isn’t commonplace in our society. We have stopped looking around because we are looking down at our phones. We have abandoned reality for a virtual world of fantasy. The by product of those exchanges is that we fail to fulfill our purpose in serving others. The opportunities to do good are all around us. If you’re not seeing them, you’re too distracted. If you’re seeing them and not doing anything about it, you’re neglecting to do the sacrifices that please God. There are people who come to your house who need a kind word, a smile or help. There are people beside you at work who are hurting and feel like no one cares. They desperately need a child of God to bring light into their darkness. There are people walking past you on the street, in the parking lot or in the store who could use a smile, a kind gesture or someone to lay it forward. That’s not someone else’s job. It yours if you call yourself a Christian. We shouldn’t do things in order to be seen or to go viral. We should do it out of the love God has placed in our hearts for others. Jesus said in John 13:35, “If you have love for one another, then everyone will know that you are my disciples. (GNB)” That love is expressed in outward acts of kindness that others can see. It’s not done in order to be seen, but as an expression of love from the Father. So today, put away the things that are distracting you from seeing those who need help. Look to do good for someone. Smile and tell them, “God said He loves you.” God takes a particular pleasure in those acts of worship.